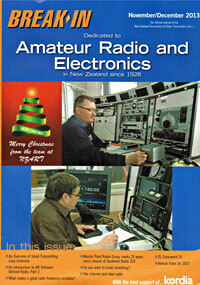 The Oliver Road transmitting site of Auckland Radio ZLD had a selection of 29 aerials spread over an area of 35 acres. Miles of underground cables connected the transmitters with the main building. The transmitting site covered what is now the Ocean Point subdivision and the playing fields at Maclean’s College. One of the Oliver Rd transmitter towers, date unknown. 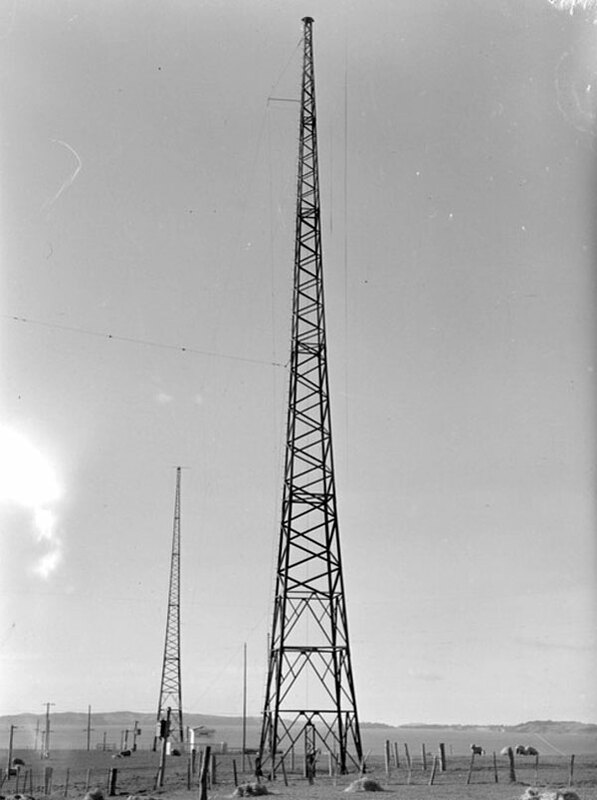 MPRG member Paul Chamberlain ZL1BBR, who was a technician at Auckland Radio, recalls that the Dansk and Nautel MCW transmitters each had their own Marconi Tee antennas (similar to the 500 kHz amateur radio antenna which can now be seen at Musick Point). Each antenna had a tuner inside a small hut at the feed point. The tower supporting one end of the Dansk Marconi Tee was loaded up just above its base and used for 2 MC/s SSB. “This worked very well,” says Paul. 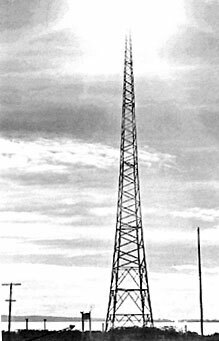 The 6-channel JRC transmitter used a conical monopole antenna with a frequency range of about 3-30 MC/s. 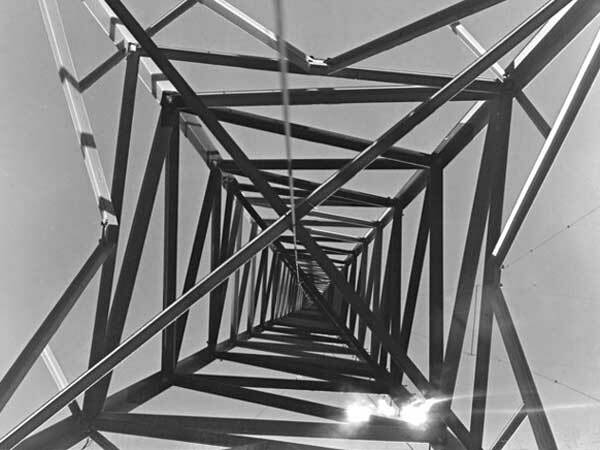 The Harris transmitter had its own conical monopole antenna.